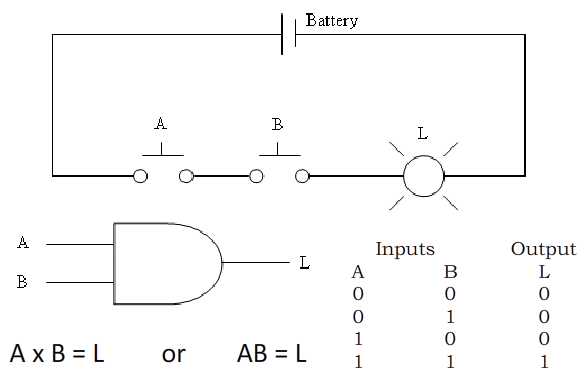 The basic logic element or gate is an electronic device that has one or more digital inputs and one digital output. 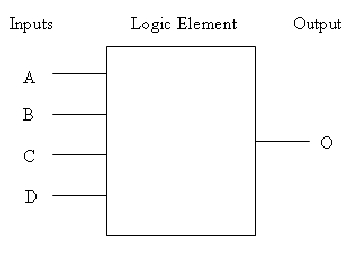 Each gate has a rule by which it operates. 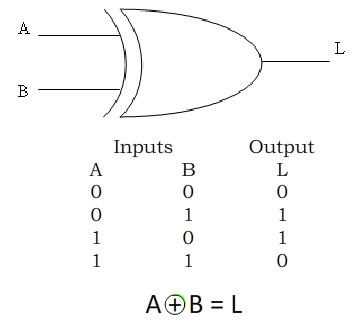 The inputs and outputs we discuss in logic gates are digital and will either be on or off, a 1 or a 0, true or false, 5V or 0V. 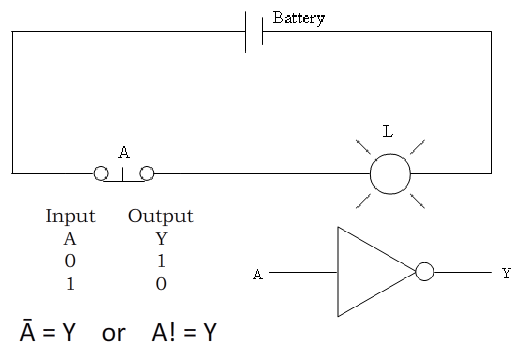 There are other gates, namely the XNOR (opposite of the XOR) drawn like the XOR with a circle on the output. 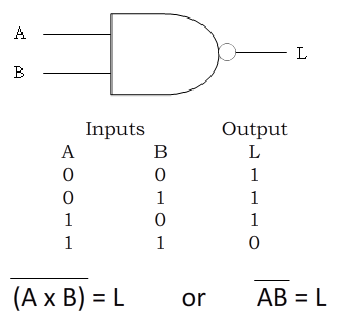 The truth table is the opposite of that of the XOR. 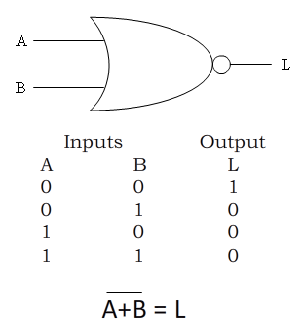 Again just like an operational amplifier, the logic gate includes more than one gate inside each chip and has a pin diagram. 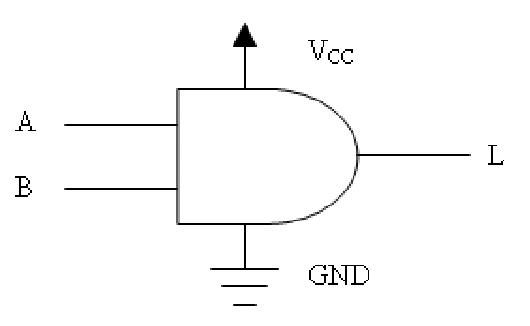 Pin 1 on any logic chip is the bottom left pin when the orientation indicator (dot, indentation, or notch) is on the left. You should now be prepared to begin the assessment game. If you hit a score of 2000 you are guaranteed an 80%, after that you are competing with your peers. The highest score gets 100%. To determine other grades (if your score is greater than 2000) I will take 80+ (your score-2000) x (20/((the highest score) – 2000)). If your score is less than 2000 your grade will be (80/2000)x(your score).